Looking for a hard-hitting, reliable target or self-defense round for your favorite .38 special revolver? 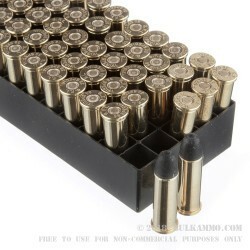 Fiocchi’s 158-grain long round nose 1000 round pack, is a great way to stock up for your next range day or training session, as each case comes with twenty, 50 round boxes. These .38 special rounds are loaded with a 158-grain lead round nose projectile in boxer-primed, noncorrosive reloadable brass cases. 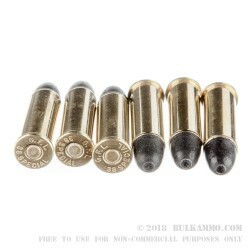 These rounds are capable of a 910 FPS muzzle velocity and offer nice expansion and stopping power as a wallet friendly defense ammunition. 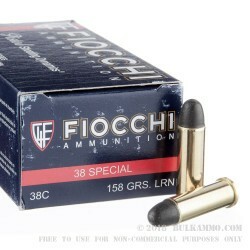 Founded in 1876 by Giulio Fiocchi, the Fiocchi brand has become a favorite among target-shooters and law enforcement agencies. 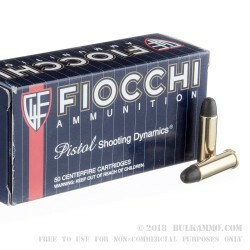 Providing a wide assortment of quality ammunition, Fiocchi produces ammo for a variety of situations and only uses the finest components to ensure consistent performance across all their product lines. Their ammunition is manufactured here in America and Italy.